That multisymptom illness is IOM’s moniker for what the vets refer to as Gulf War Syndrome. "It is clear that a significant portion of the soldiers deployed to the Gulf War have experienced troubling constellations of symptoms that are difficult to categorize," according to neuroscientist Stephen L. Hauser of the University of California, San Francisco. He chaired the IOM committee that issued the new report. The new report argues that medicine’s trouble in defining the nature or precise cause(s) of Gulf War Syndrome does not negate its existence. Indeed, the IOM’s new analysis “began with the premise that multisymptom illness is a diagnostic entity.” Its analysis then investigated evidence to determine whether a link exists between multiple, unexplained symptoms and Gulf War deployment. And IOM’s report now concludes that Gulf War Syndrome is real, based on data documenting a high rate of symptoms in former U.S. troops who had served in the Gulf War nearly two decades ago. High-quality surveys of Gulf War vets from other nations, such as the United Kingdom and Australia, show many of those men also have been suffering similar chronic symptoms, which could include everything from gastrointestinal illness and mental confusion, to attacks of sudden vertigo, intense uncontrollable mood swings, fatigue and sometimes numbness – or the opposite, constant body pain. 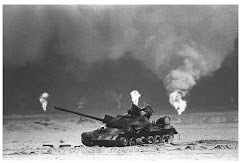 Last month, a team of researchers headed by Robert Haley of the University of Texas Southwestern Medical Center at Dallas reported new brain-imaging confirmation of Gulf War illnesses, which it described as a trio of syndromes with puzzling symptoms. Like the UT Southwestern scientists, the IOM committee could not pin down the source of the vets’ symptoms. Equally puzzling was why some troops sustained major chronic illness after a short tour of duty while others from their military units incurred no such symptoms after many years in the field. Indeed, it may prove difficult – if not impossible – to reconstruct what happened nearly 20 years after the fact, the IOM committee noted. 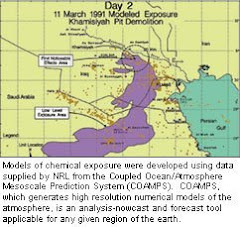 But there’s certainly a suspicion, it said, that multisymptom Gulf War Syndrome(s) may reflect interactions between environmental exposures and genes, such that genetics predisposed many troops to illness. IOM now recommends that research commence immediately to investigate that genetics angle. And there should be a big enough population to study this in, IOM says, with more than one-third of the 700,000 Gulf War vets claiming multisymptom illnesses associated with their military service. The report also calls for a substantial commitment to improve identification and treatment of multisymptom illness in Gulf War veterans. That would, of course, first require that the Department of Veterans Affairs acknowledge these syndromes as real disease.